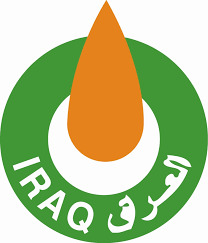 The Iraqi Government will be revising licensing contracts signed by the Ministry of Oil between 2009 and 2010 when Nouri al-Maliki was prime minister. Due to the ongoing financial crisis in Iraq that mainly involves low global oil prices and the internal political conflict, the Iraqi government will not be able to reimburse debt owed to international companies. To increase the profitability of Iraq's 143 million barrels in reserves, the Ministry of Oil is planning to increase oil production to 9 million bpd by 2020 in order to pay foreign companies licensing dues. According to the newly revised 2016 budget, $11 billion will be paid to these companies. The new budget by the Oil Ministry has estimated oil production will be valued at $17 billion in 2016; however, two-thirds of that amount will be going to debt owed to companies and the remaining third will go back to Iraq. The 2015 budget was created with the intent that oil would sell at $45 and since prices have gone down to less than $30 since the beginning of 2016, Iraq is left with less than $6 billion from the increased oil production. Finalized contracts will now outline a fixed price for companies to perform any work for the Iraqi government.